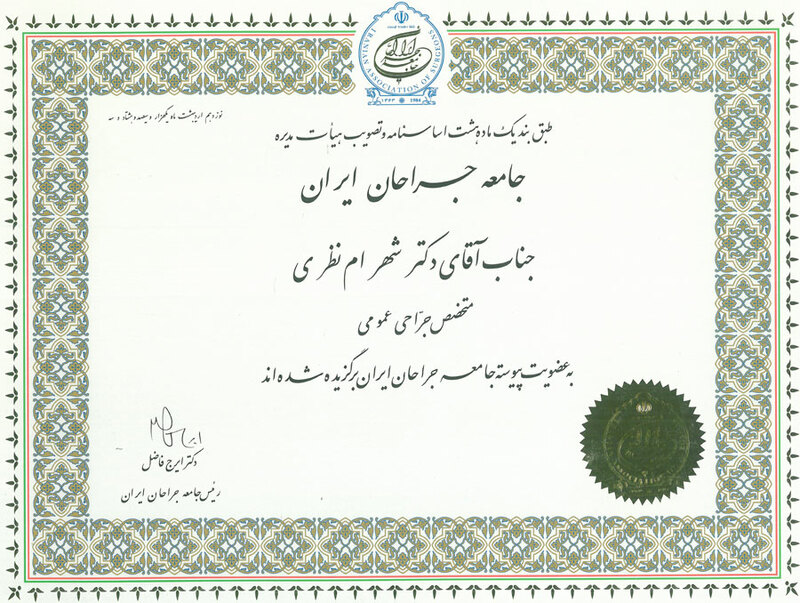 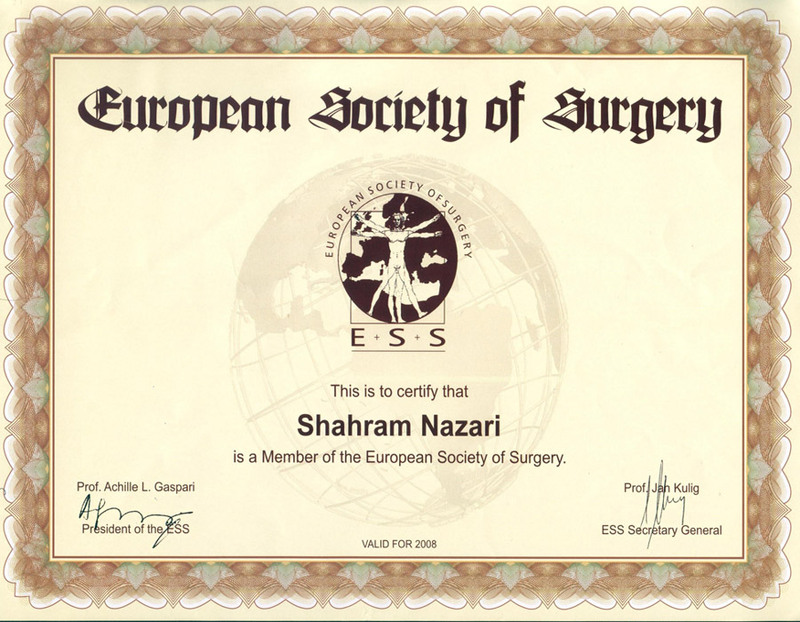 This is to certify that Dr. Nazari is a member of ESS. 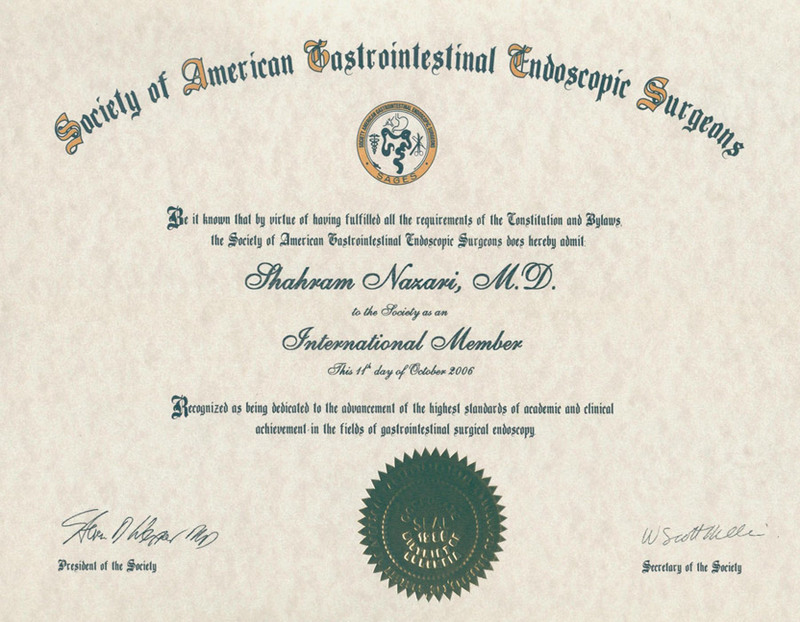 Dr. Nazari is a member of ELSA with membership no: A1884. 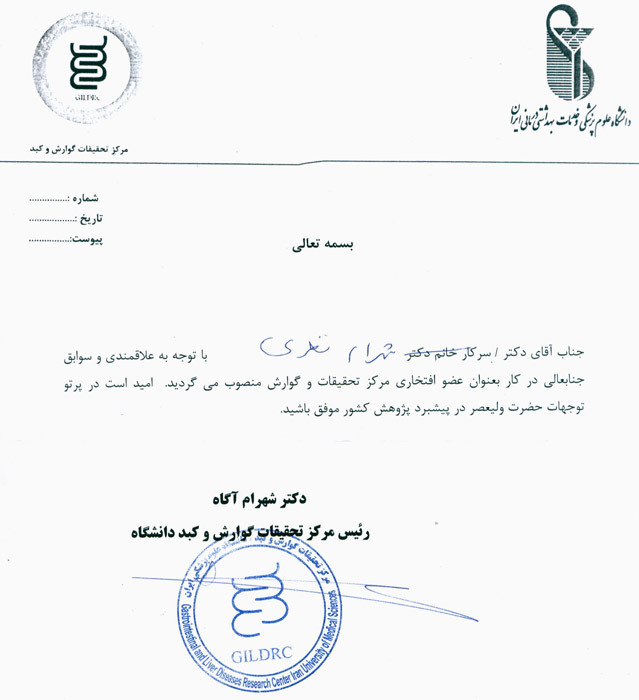 Dr. Nazari is an honorary member of GILDRC. 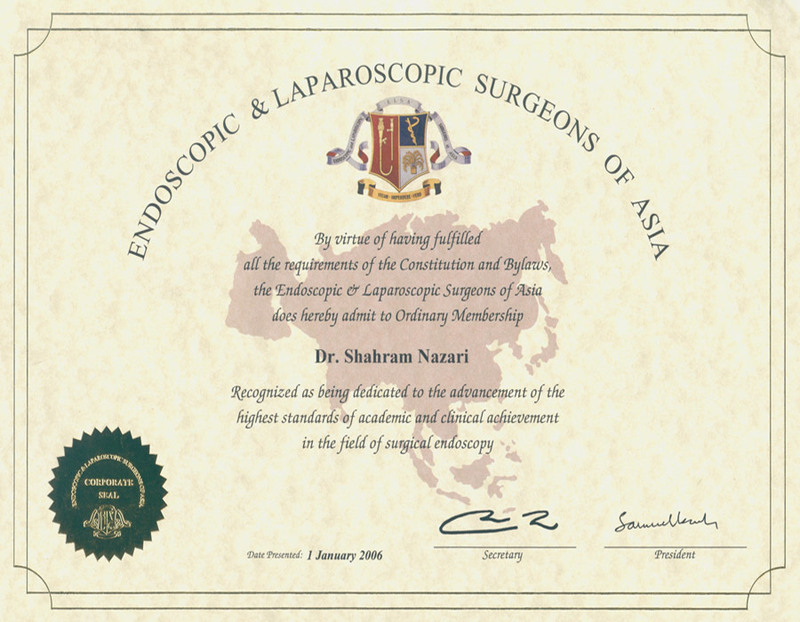 Dr. Nazari is a member of SAGES.